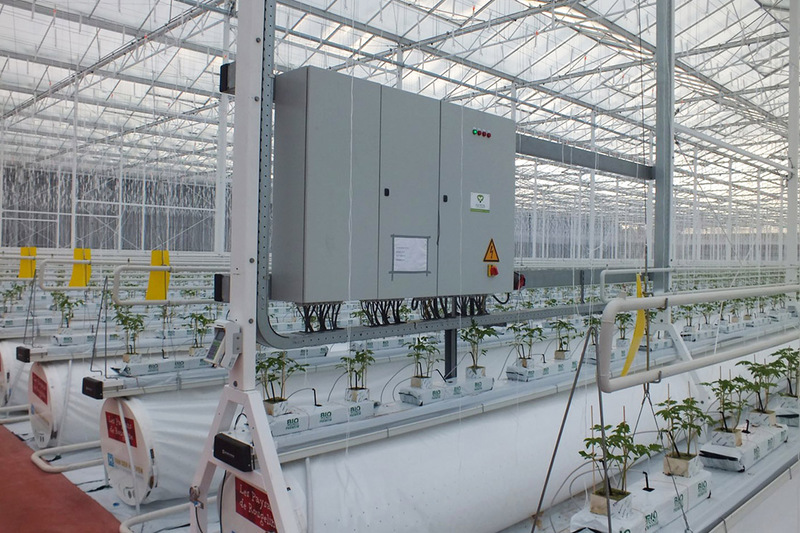 For the French company SDGL, Patron has realized a sustainable greenhouse with a unique, flexibly deployable cooling system. 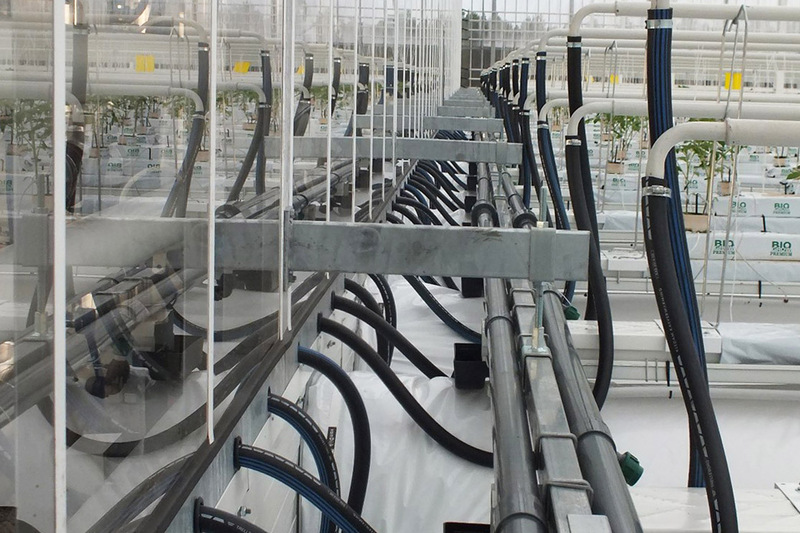 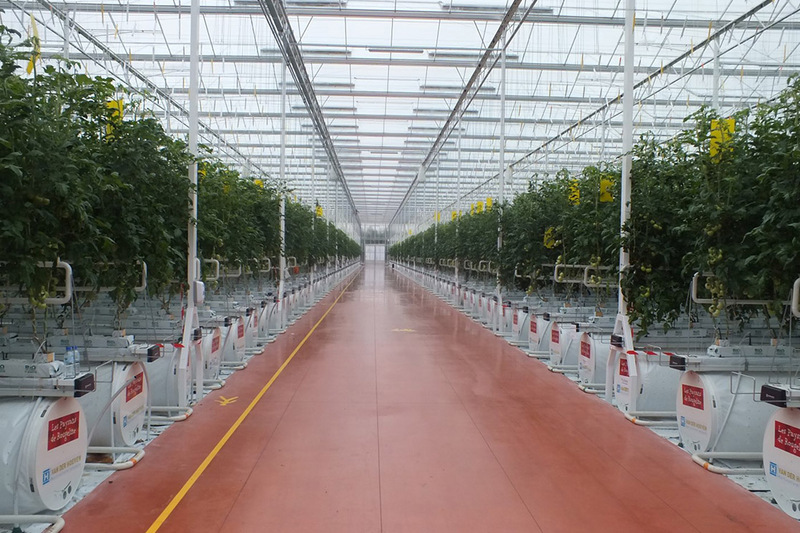 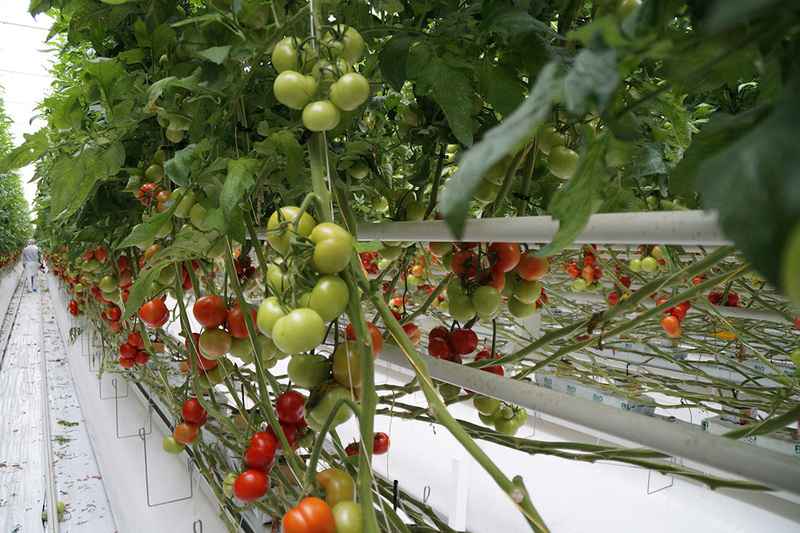 The greenhouse is equipped with a so-called climate corridor of 1.4 meters in width, with 80, 160 and 320 cm wide padwall sections, cooling 15, 40 or 100% with BUS-controlled pad wall fans. 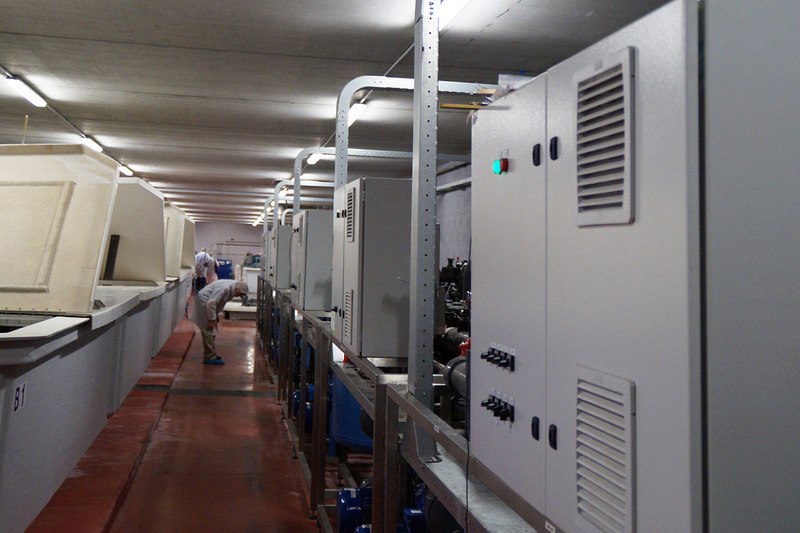 By varying the dimensions of the pad walls, a total of 7 combinations are possible to meet different cooling demands. 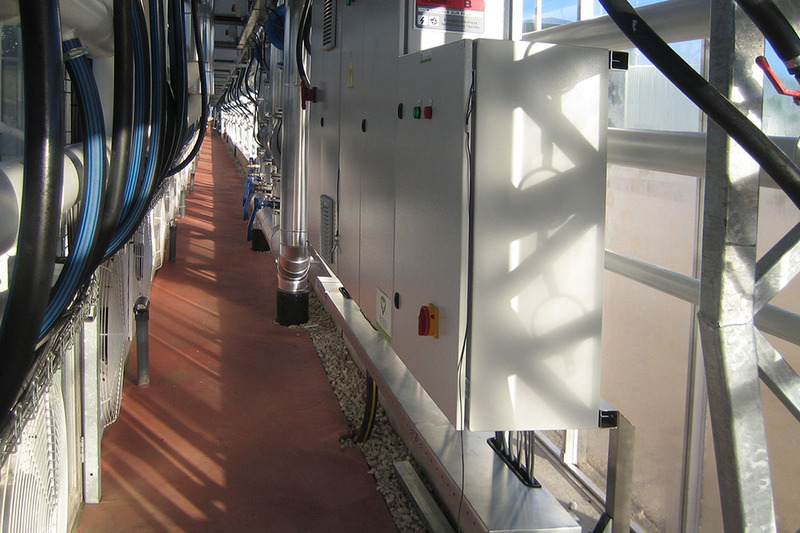 Heating takes place by spiral heating elements fed with hot water from the adjacent bio-energy plant and external solar boilers. 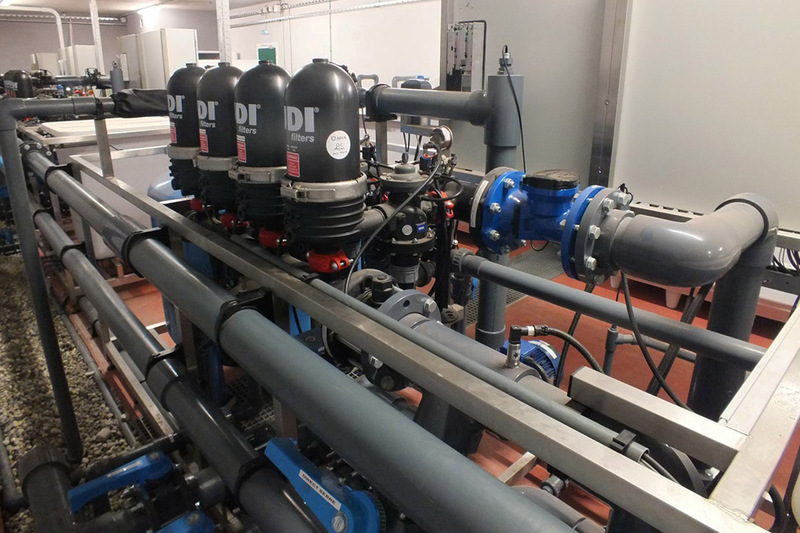 For realization of this project, Patron had to confirm with the strict requirements of the French inspection authority and energy supplier, EDF, concerning cabling and over voltage protection.